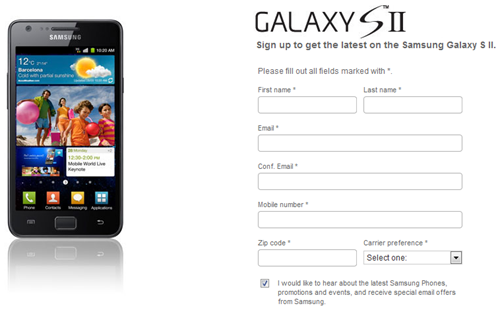 Users anticipating the US arrival of Samsung's Galaxy S II superphone can now sign up to be notified of this beast-of-a-device's stateside availability via Samsung's Galaxy S II US landing page. You have to drop in some basic information like name, email, phone number, and carrier preference, and you're in. I received a text message immediately after signing up asking if I want to be notified via SMS as well, so expect nearly-immediate info regarding this device. 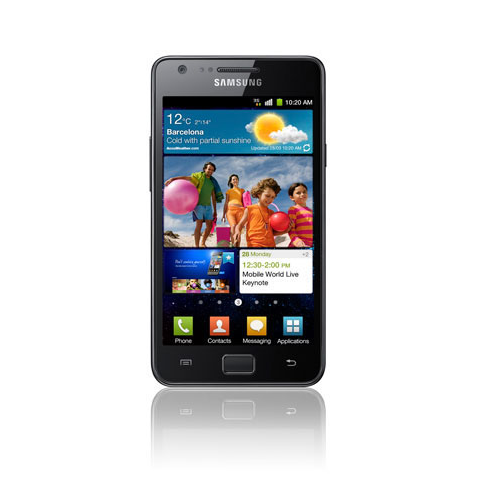 It's probably worth noting that if you do opt in to receiving SMS messages that Sammy will send a max of four messages per month, so users that don't have an unlimited text message package won't go bankrupt waiting for info on their new phone.